Sold by VIVOSUN and Fulfilled by Amazon. Gift-wrap available. RELIABLE RESULTS: VIVOSUN's professional heat mat maintains temperatures in the sweet spot of around 10℉-20℉ above ambient air temperature - perfect for seed starting and cutting propagation! BUILT TO LAST: Supple, flexible and ultra-durable, VIVOSUN goes beyond stringent MET standards, with a fortified connection between mat and power cord, water-resistance that enables safe scrubbing and a 1-year warranty. 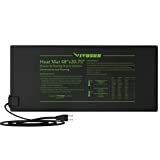 STABLE, UNIFORM HEAT: VIVOSUN's strengthened Alloy Nikrothal heating wire and extra layer of insulating PET film ensure this durable mat never scorches your roots and produces lots of revitalizing dew when used with a humidity dome. 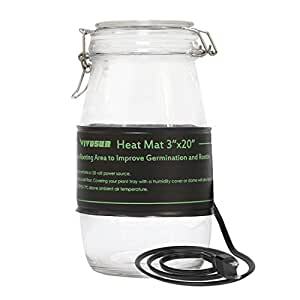 BEST SAVINGS IN THE MARKET: This 3" x 20" mat is perfect for small spaces, like countertops and windowsills ; it also runs on only 6.5 Watts to help you save on electricity. 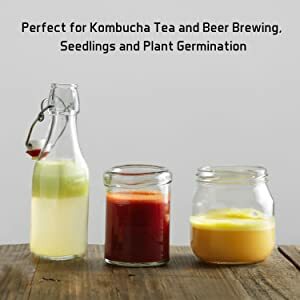 PLANTS' BEST FRIEND: Works perfectly for spring seedling starts, in the winter or any time your plants need a heat boost, also for brewing and heating your kombucha, kimchi & yogurt. Sold by VIVOSUN and ships from Amazon Fulfillment. Sold by LXLX Trading and ships from Amazon Fulfillment. VIVOSUN's customer-first commitment means we are here to solve any problem and make sure you're satisfied. Works great for spring plant starts, in the winter, or any time your plants need a heat boost. Extra-fortified connection between the super-long power cord and the mat, fixing a common weak point in other heat mats. 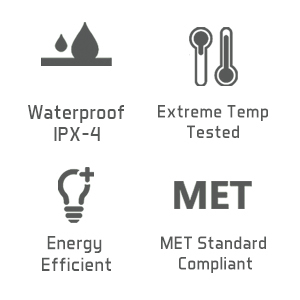 IPX-4 water resistance means you can scrub the mat clean or wipe up spills without worry. 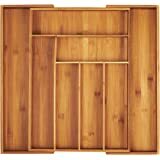 The 3" x 20" mat is perfect for small spaces, like countertops and windowsills. Energy efficient design: Only uses 6.5 Watts. 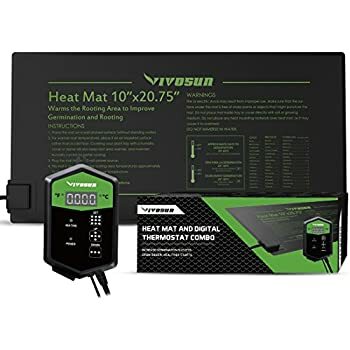 VIVOSUN's heat-mat technology hits that sweet spot temperature around 10℉-20℉ above ambient air temperature - perfect for seed starting and cutting propagation! After covering with a humidity dome, the mat gets warm enough to create dew throughout the plastic dome, keeping your plants from drying out. 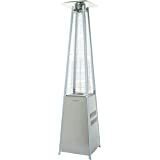 Keeps a steady temperature and distributes heat evenly, even in the cold (with an insulating layer underneath). VIVOSUN's upgraded Alloy Nikrothal heating wire ensures uniform heating and unbeatable durability. 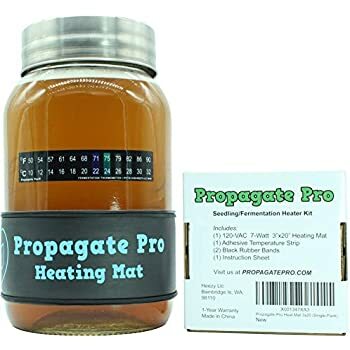 The multi-layer construction, with an extra layer of insulating PET film, gives you complete assurance this heat mat won't overheat or scorch your delicate roots when left on 24 hours a day. Users report near 100% success for germination, cloning and root development. Works perfectly for spring plant starts, in the winter or any time your plants need a heat boost. 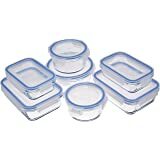 Also great for brewing kombucha or other DIY fermentation projects - wraps around containers nicely. 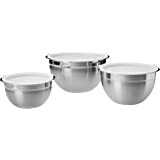 Recommended for use with a VIVOSUN Thermostat Controller and Humidity Dome for best results (both sold separately). 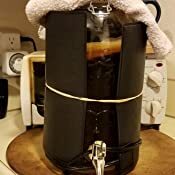 I use this for making 2 gallons of continuous kombucha. 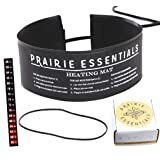 It is cold in my house so I needed a heat source of some kind I use this wrapped around my jar set up with a timer to keep it at a perfect 75 degree temp. Its perfect for my set up! 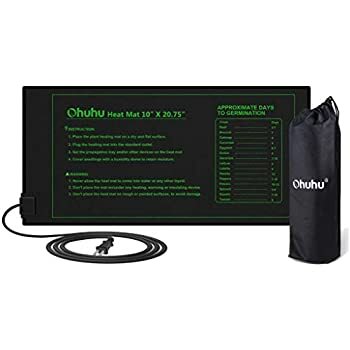 The product seems like a nice thick good quality similar to reptile heater pads, the cord is super long way longer then reptile heater pads so this was Ideal for where I have it located (no where near a plug). Overall I'm happy with this purchase. This has done exactly what it's supposed to. 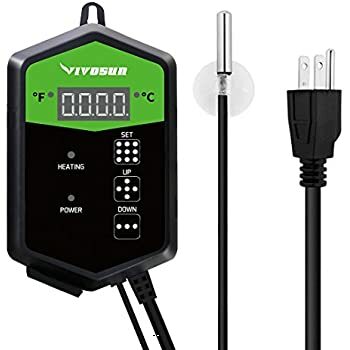 Keeps my kombucha the perfect temperature, but make sure to get the "VIVOSUN Digital Seedling Heat Mat Thermostat Controller" so that you don't have to make sure its overheating. The mat itself will not shut off and supplies constant heat without the controller. 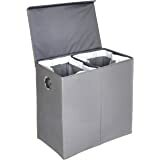 I ordered this for starting my Impatiens seeds. The first thing I noticed is the center 10" gets way warmer then the rest of the mat. I tested the temp with a calibrated thermometer and as you can see in the pic It got to 106 deg. Granted that's at the mat and not near the top of the cell where the seeds are. 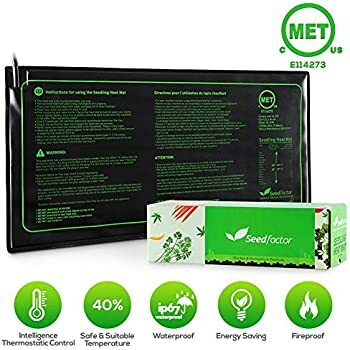 If the mat was running 24/7 to maintain heat I don't see how that heat wouldn't eventually transfer to the top of the cell pack cooking the seeds. 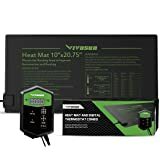 I used and would highly recommend a temp controller. I bought an Inkbird 308 for around $35. Very simple, plug the controller in the wall and plug the mat into the controller.I set it at 75 deg with the temp probe about 1" into the soil. 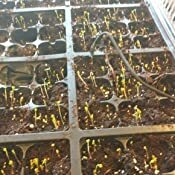 I got almost 100% germination in about a week using Ferry Morse seeds, I contribute the success to the combination of the mat and controller, I cant say the mat on its own would have given the same results and thats the reason for the 3 star rating. As a combo its perfect. I used this for approximately 6 weeks in Spring 2017. Following use, it was stored flat on a shelf indoors until this spring. About a week ago I plugged it in (using a thermostat) and it heated fine. This morning, upon inspecting I noticed the thermostat wasn’t holding temperature where I set it. I lifted the trays off and found that the mat had burned a hole through itself and also burned a dark spot on the towel it was sitting upon. I’m very lucky this didn’t create a fire. 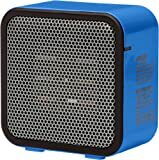 I contacted Vivosun through their customer service number in the packaging and they took my information and are replacing the mat and thermostat. I will be using future mats on cement and isolated in the future but was indeed impressed with their customer service. 5.0 out of 5 starsWorks great if you buy a thermostat to use with it. 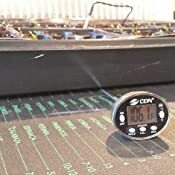 Seedling heat mats DEFINITELY increase germination rate, but you also need a seedling heat mat THERMOSTAT to go with it. 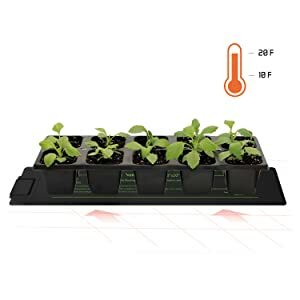 I killed off and/or prohibited germination of many of my first round of seedlings due to having a seedling heat mat with no thermostat. They just got too hot. 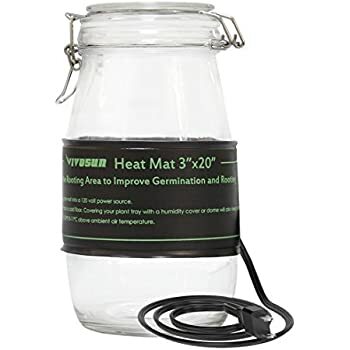 If you decide to use a seedling heat mat, do yourself a favor and go ahead and invest in the thermostat too. When I FINALLY broke down and got the thermostat, I had about a 95% germination rate. I had 100% success with my Jalapeno's which I hear are notoriously difficult to germinate. The most finicky to germinate was the Brandywine Red, and I'm just going to blame that on the seeds/type of plant because of the 6 or 7 seeds I planted, I only got 3 to grow. But everything else (squash, zucchini, San Marzano's, Sun Golds, Cucumbers, and bell peppers) germinated splendidly! it Does heat, but only in the middle portion. WOULD NOT buy again. 1.0 out of 5 starsWorks for about a week and dies. 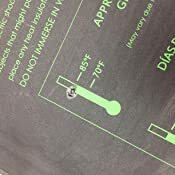 I have just begun fermentation temperature control on my beer brewing and heard seed heat mats were the way to go to gently heat my fermentation chamber. 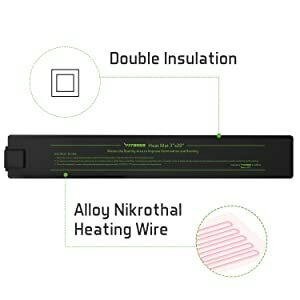 I ordered this product expecting this would handle the heating side of things and was disappointed when it quit working within the week (Checked it with a multi-meter for a circuit and got nothing). Thinking I maybe I got a bad mat (stuff happens), I returned the product and repurchased the exact same model. The second mat arrived and lasted a little over a week before it died (verified with multi-meter). I unfortunately will not be going for a Round 3 with this manufacturer. Unit works very well. Planted my tomato seeds Jan 10th in my garage and these mats have kept the soil warm enough so that they have really taken off! Highly recommended.